We're looking for a group of excited Wichitans who are plugged into our community and want to share as a contributor on 360Wichita.com! With over 100,000 visitors a month, we're THE resource for all things Wichita...where to go, what to do... and we love recognizing the amazing people and places that make Wichita the great place we call home. We're looking for a handful of contributors that we'll select over the course of the next two weeks. 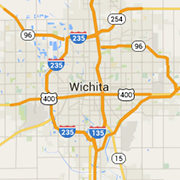 - A passion for all things Wichita! - Reliability, respectfulness and team spirit! *Human interest stories, opinion pieces, Wichita history, events around Wichita, new store/restaurant reviews, your favorite places to go, your favorite things to do, highlighting local sports teams, short stories, poetry and more! - Your bio on 360Wichita.com with links to your personal blog/business and social media channels if you would like to share them. - Opportunity for free passes and tickets to Wichita events, we'll assist you in getting you media credentials when needed for access to events and locations, etc. - Networking and new friends!